All of our products are available for street cars. help us create top shelf product that win at the track. 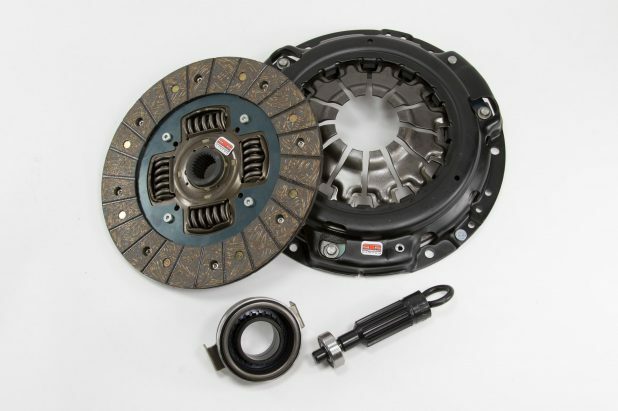 Use our vehicle lookup to find the perfect clutch for your car! This assembly provides up to 80% increase in torque capacity and is properly suited for aggressive street use and moderate track use. This segmented Ceramic material with a performance pressure plate will provide the ultimate in street and strip combinations. This assembly, available with a six puck sprung plate is good for penetrating engagement with higher horsepower applications. 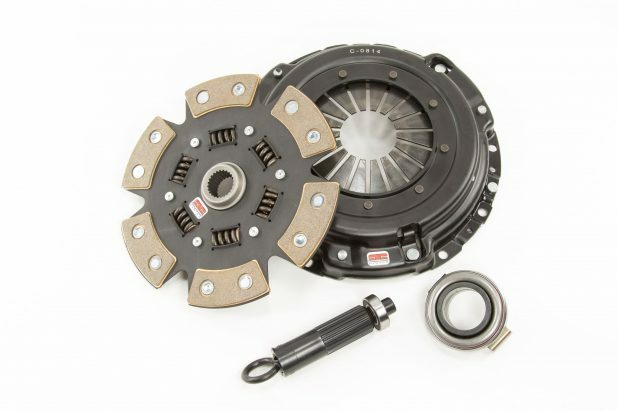 Competition Clutch Multi-plate Clutch Kit with Flywheel provides a drastic increase in horsepower holding capacity with excellent drivability characteristics. 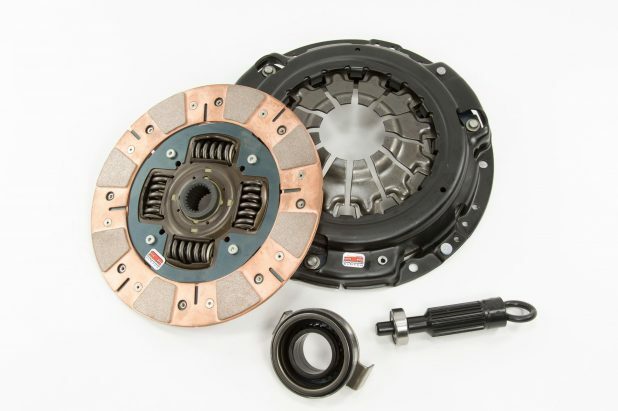 The new clutch kit provides the ideal balance of sport driving and daily driving clutch use. 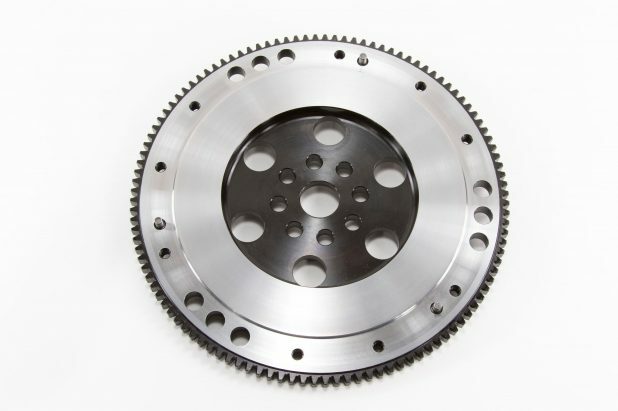 The CCI twin disc provides the most economical racing clutch for the active sport compact enthusiast. 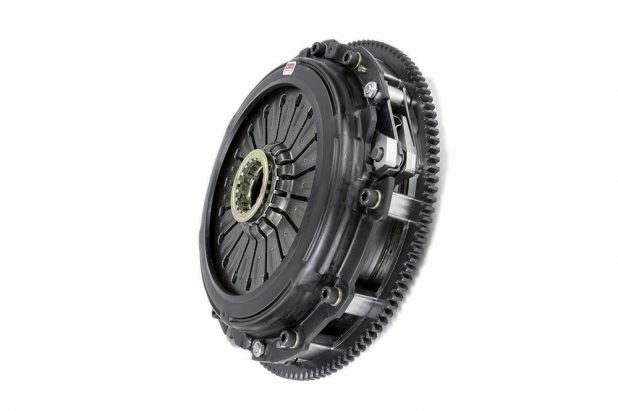 This ceramic twin disc comes with a 4140 forged steel flywheel and a 6061 T6-aluminum cover complimented with a 6150 steel diaphragm. Competition Clutch flywheels are made of 4140 forged steel and are a one-piece design. This helps significantly in reducing the chances of ring gear separation and friction surface warpage. All flywheels can be resurfaced. 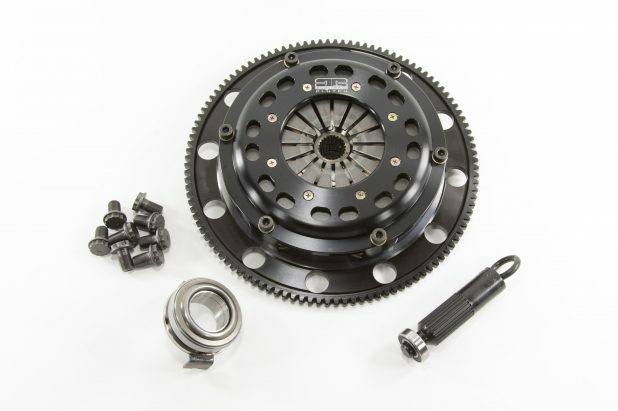 Competition Clutch Inc. (CCI) is one of the fastest growing performance clutch company in North America. CCI contributes this growth to its commitment in the innovation and quality of the products that we manufacture and supply, complimented by a sincere desire to provide unparalleled customer service and delivery. Competition Clutch offers to their customers the finest materials, workmanship, and best customer service in the industry. We offer higher clamping force, stronger disc designs, and uncompromised satisfaction, all at the most competitive pricing in the industry.